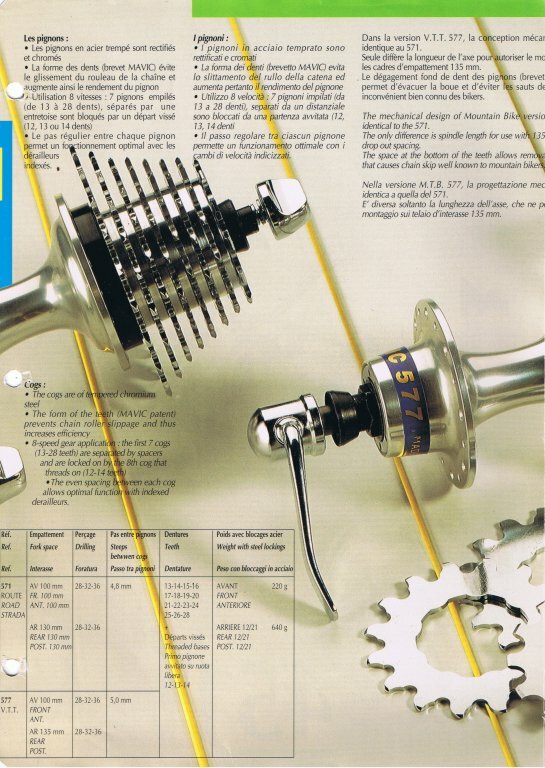 More 1993 Shimano catalog goodness. 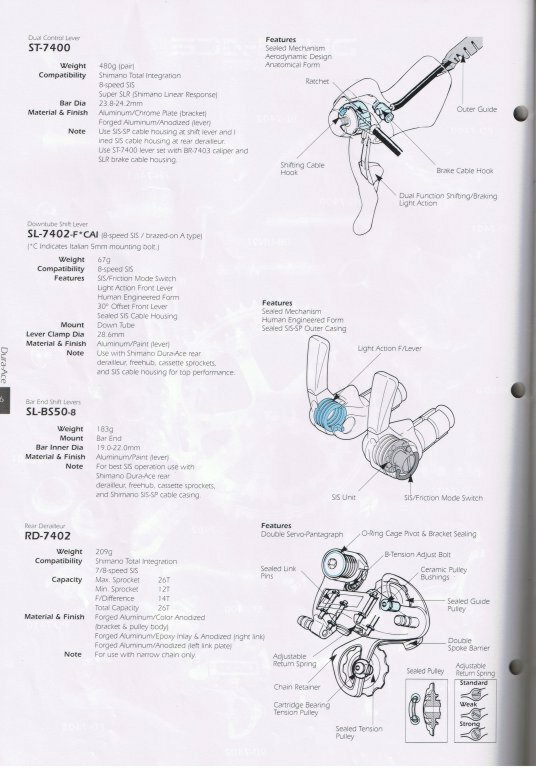 This is the 1 page on STI brifter technology, along with an overly confusing compatibility chart. In entirely unrelated news, I have some of the items you may have seen on this blog for sale up on eBay. Sometimes we have to let go of (parts from) the past in order to move forward (on new acquisitions). 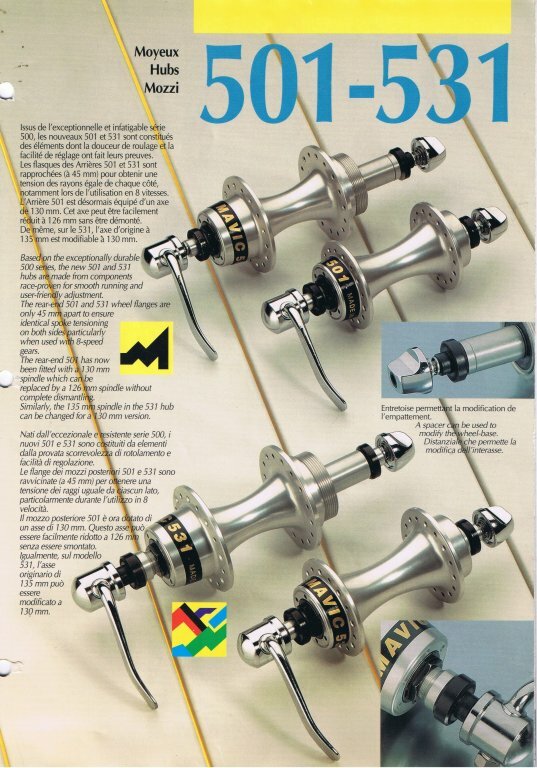 Shimano was a fountain of innovation in the 80's and 90's. 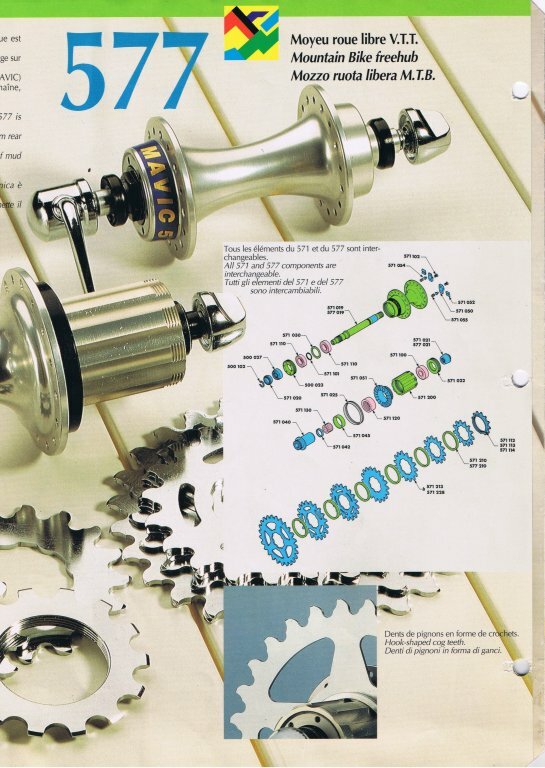 Reliable indexed shifting in the mid-80's. 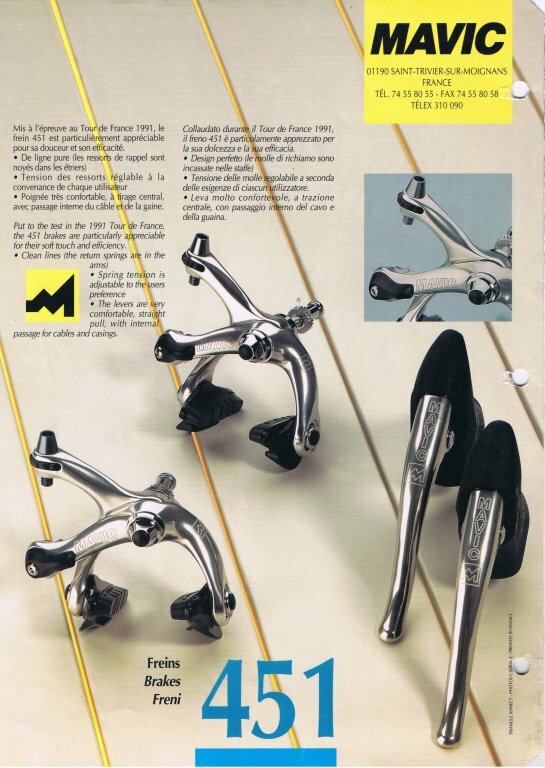 Dual pivot brakes and STI brake/shifter levers in the early 90's. 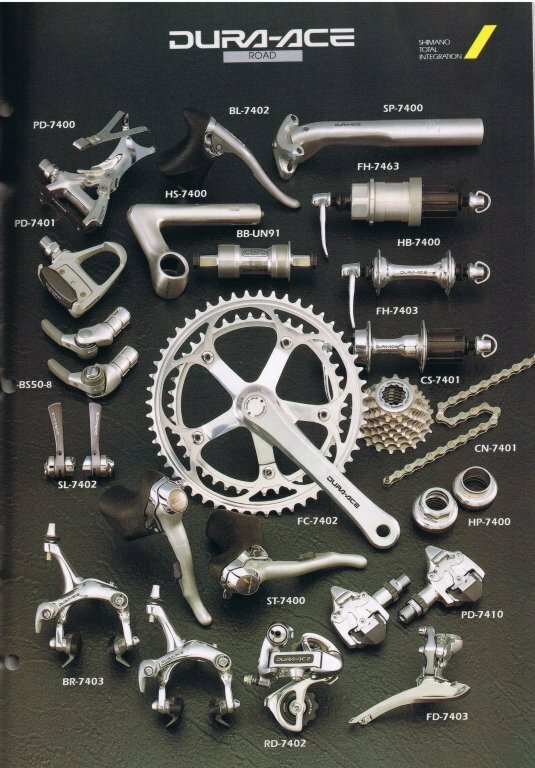 While their competitors were either putting themselves out of business, or stubbornly clinging to their inferior hardware, Shimano was establishing itself as the #1 player in the components market. 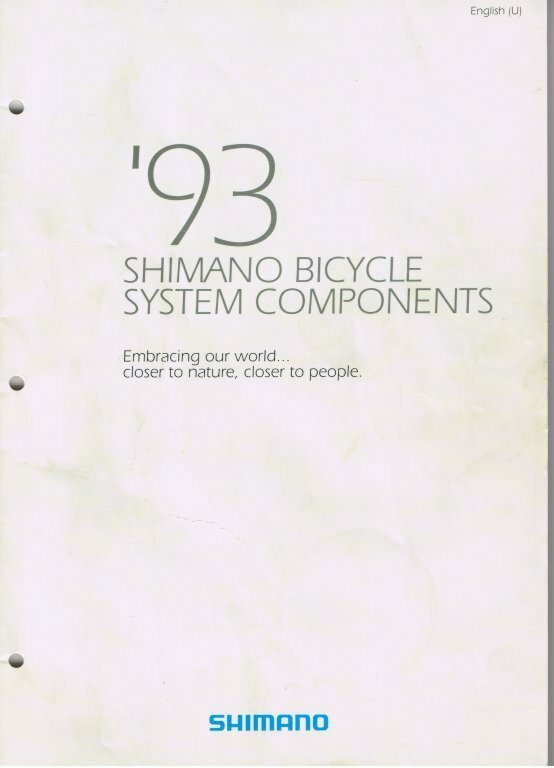 This post will be the first of several focusing on the Shimano 1993 catalog. 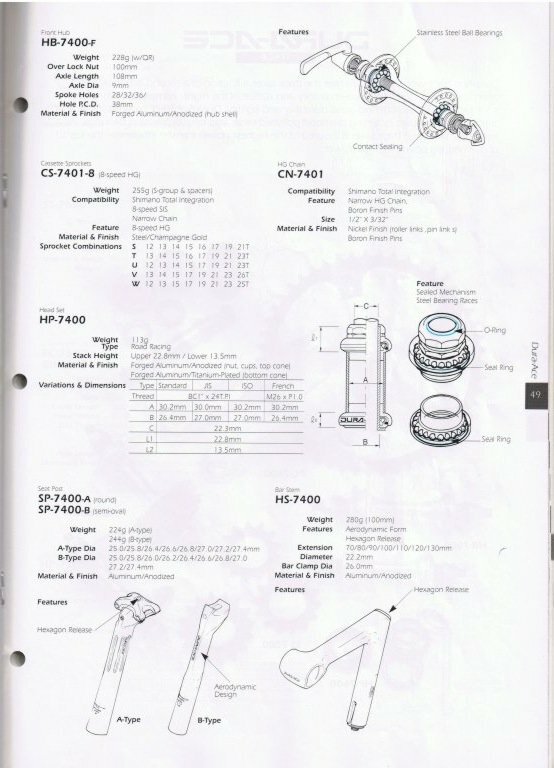 I'll be starting off with the Dura Ace component pages, followed by some of the cross-line technology sheets, and the tools and small hardware pages. 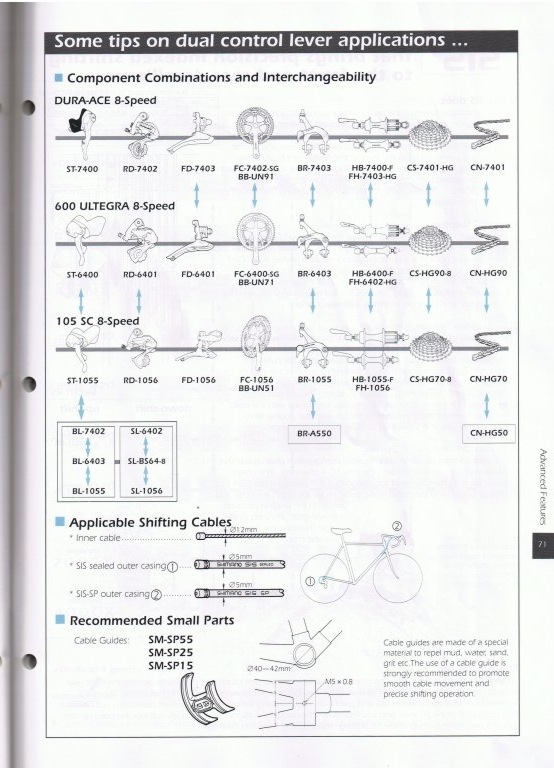 The catalog covers their entire MTB and road range, so if you're interested in the Ultegra 600 or 105 lines, speak up! "Embracing our world...closer to nature, closer to people." 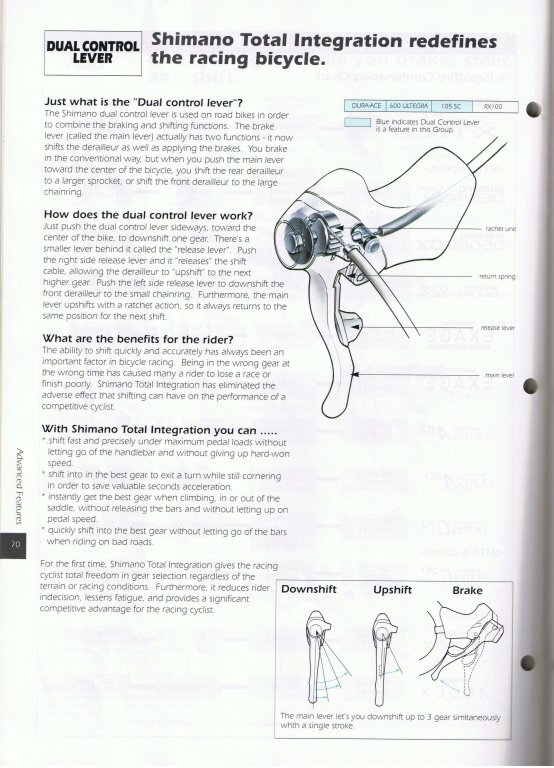 Sorry Shimano, but thats a little creepy. On with the component pics! Road components on a bike. The Shimano Dura Ace road line. 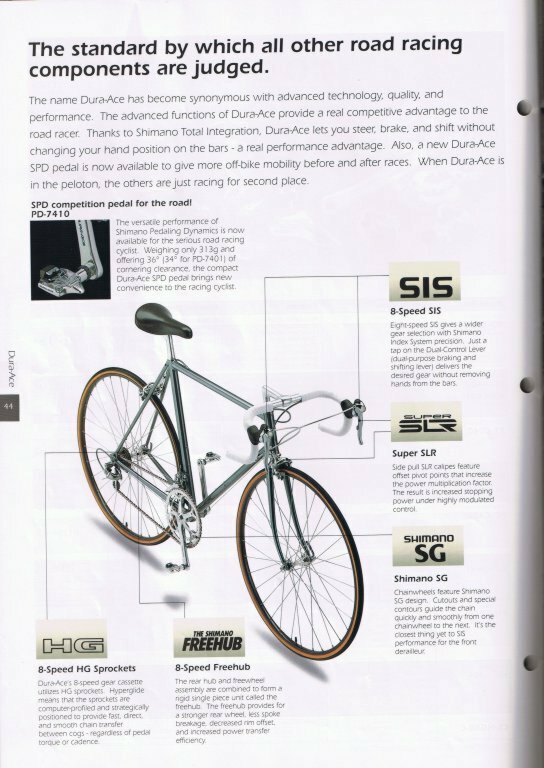 This represents the "correct" component combination for 1993 Dura Ace. ST-7400 brifter. SL-7402 downtube shifters. SL-BS50 bar end shifters. 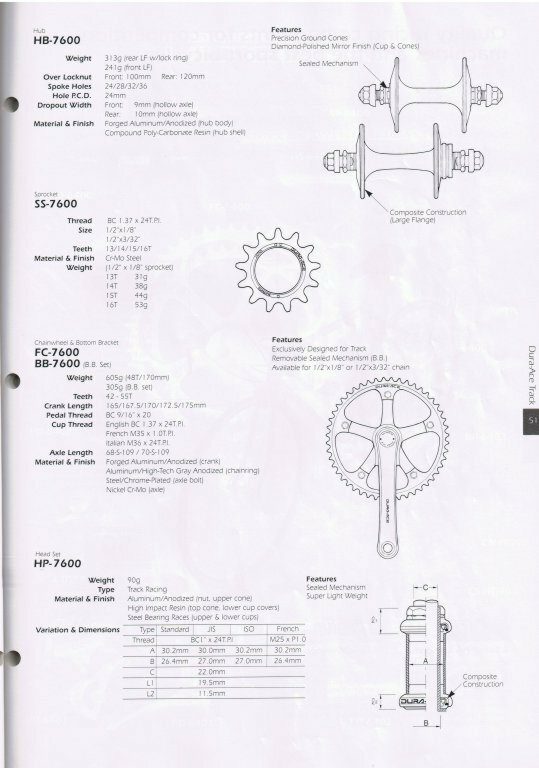 RD-7402 rear derailleur. FD-7403 B and F clamp-on and braze-on derailleurs. FC-7402 SG crank. BB-UN91 bottom bracket. PD-7410 SPD pedal. PD-7401 Look pedal. PD-7400 traditional pedal. 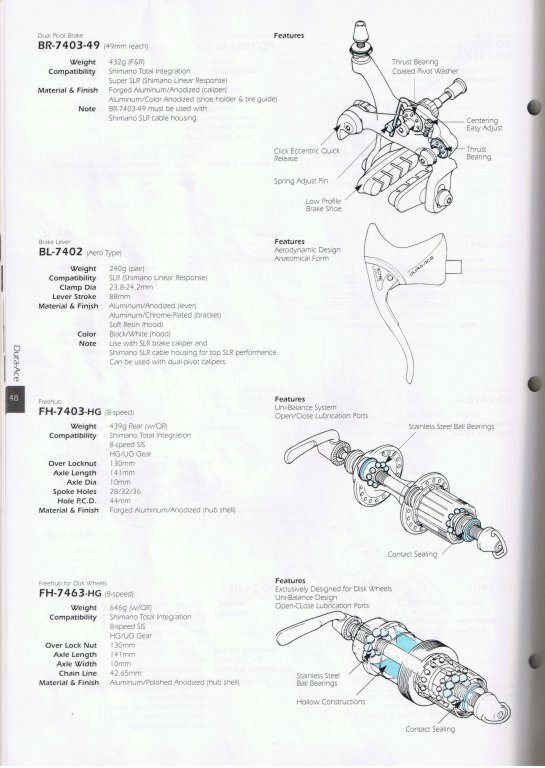 BR-7403 dual pivot brake, BL-7402 aero brake lever, FH-7403-R rear cassette hub, FH-7463 disc wheel hub. HB-7400-F front hub, CS-7401 8s cassette, CN-7401 chain, HP-7400 headset, SP-7400A (round) and SP-7400B (aero) seat posts, HS-7400 stem. 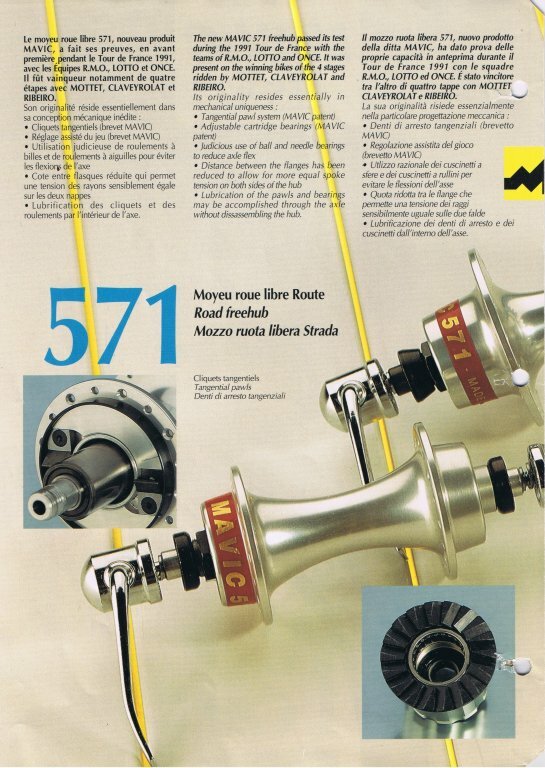 HB-7600 hubs. SS-7600 sprockets. 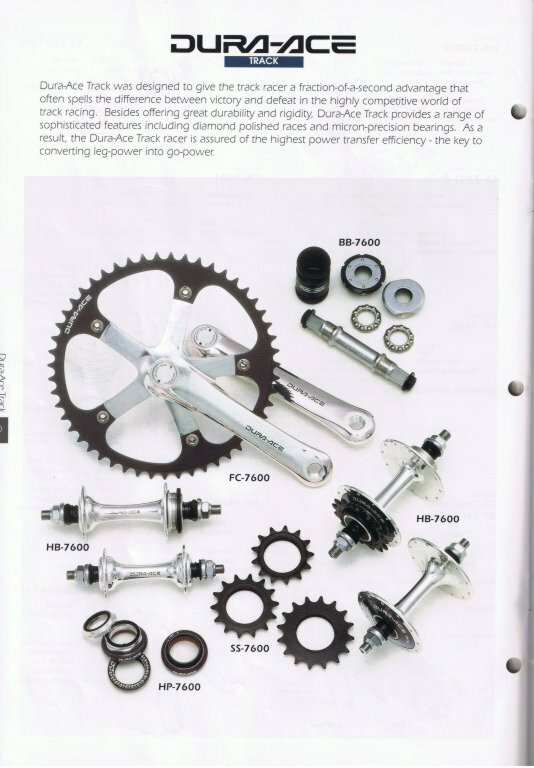 FC-7600 cranks. 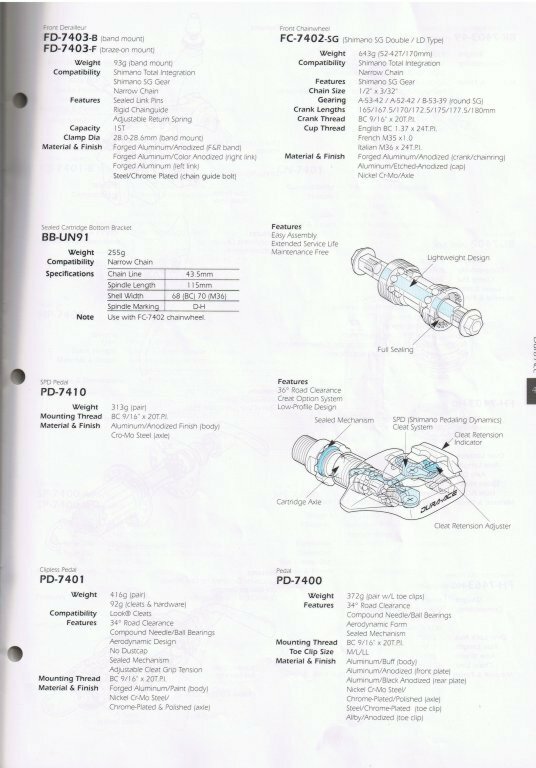 BB-7600 bottom bracket. HP-7600 headset. We're totally going in to catalog mode over here at tearsforgears hq. All courtesy of Harry. He gave me a pile of catalogs to scan. Originals are cool, but scanned means instead of just me getting to pour over all the cool pictures, you can too. And given that I'm pretty sure Harry had these in his bathroom at some point, you don't have to touch them. Just me. You know the drill. Click any image for the larger version. Quick comment on the last page. 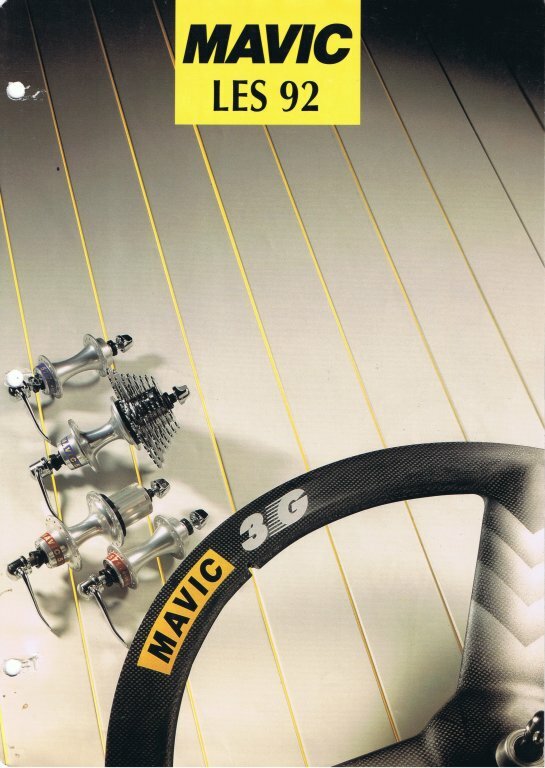 The 451 brake levers have the Mavic 'M' logo underneath the Mavic lettering. The sets I've owned and seen don't have the logo. Has anyone seen a set that does?